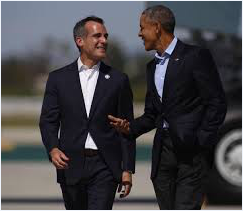 Three-time Academy Award-nominated Actor Mark Ruffalo took his anti-energy rhetoric to a new level this week, calling President Obama, California Governor Jerry Brown and Los Angeles Mayor Eric Garcetti “immoral” for their support of fracking. 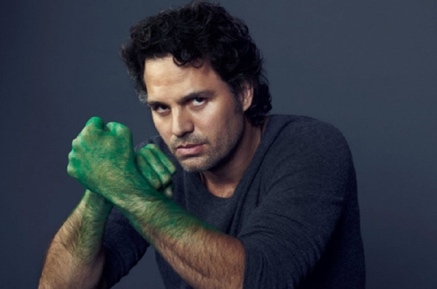 Ruffalo has received widespread and well-deserved praise for his acting abilities. However, when it comes to his anti-energy industry activism, the critics are against him. In fact, if Academy Awards were conferred for denying science in the face of overwhelming consensus, then Ruffalo would need to build a new trophy room based on his continued and obstinate trumpeting of misinformation and debunked science regarding oil and gas development and climate change. 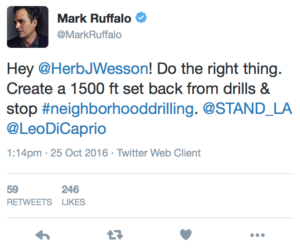 Ruffalo – who not long ago joined his friend and fellow activist Leonardo Di Caprio on a fact-free “field trip” of Los Angeles oil fields — confirmed yet again that his real goal is to entirely shut down California’s oil and gas industry and nearly half a million direct and indirect jobs and the billions of dollars of tax revenue and economic activity it is provides. “I want to say to Mayor Garcetti and Governor Jerry Brown: it’s immoral for you to keep drilling while at the same time calling yourselves climate change leaders. President Obama, it is immoral for you to keep drilling in our state lands, in our federal lands, off our federal waters, while at the same time calling yourself a climate change leader.” [emphasis added]. Calling the Mayor, the Governor (deemed a “Green Governor” by the left-leaning Center for American Progress and one of the leading champions of environmental protection of the last 40 years) and the President of the United States “immoral” is certainly dramatic and absolutely disrespectful, but does it square with reality? Not in the least. 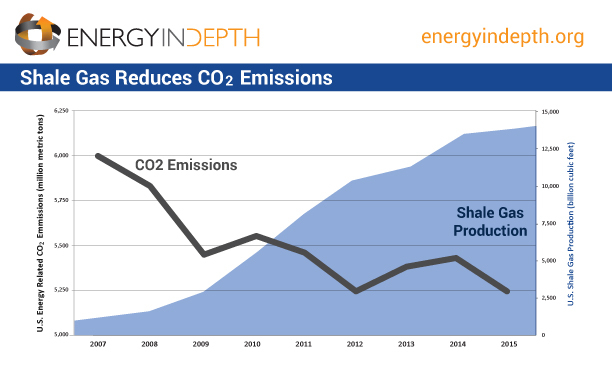 The fact is that it is because of advances in fracking technology that the U.S. has experienced a boom in oil and gas development that has allowed us lead the world in carbon emission reductions. That’s right. The United States is a climate leader because of, not in spite of, advances in oil and gas industry innovation. 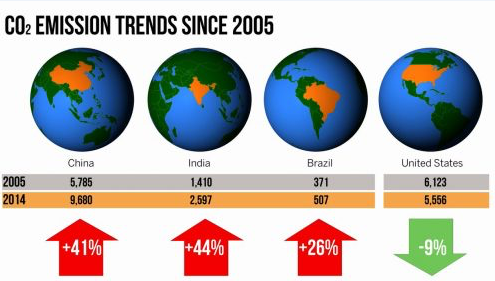 As natural gas use continues to ramp up for nation’s power plants, emissions are slashed, and as we produce more oil at home, we don’t import it by rail or ship from countries with laxer environmental regulations. The fact is that most esteemed scientific bodies in the world agree that opposing fracking is climate denial. 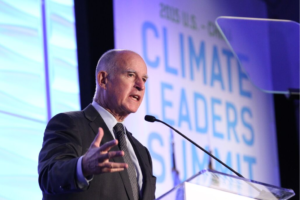 The Intergovernmental Panel on Climate Change (IPCC), which operates under the auspices of the United Nations, is widely regarded, “gold standard” by activists like 350.org’s Bill McKibben and Sierra Club Director Michael Brune. The IPCC also found that even “[t]aking into account revised estimates for fugitive emissions, recent lifecycle assessment indicate that specific GHG emission are reduced by one half” as more power plants are powered by natural gas. In addition, the Breakthrough Institute (BTI) – an group founded by individuals whom Time Magazine recognized as “heroes of the environment” – reported that natural gas has prevented 17 times more carbon dioxide emissions than wind, solar, and geothermal combined. President Obama even had to school Ruffalo’s partner-in-misinformation Leonardo Di Caprio during the South-by-South Lawn festival recently in Washington, DC, informing him of the climate benefits of natural gas derived from fracking. Thankfully, scientists, regulators, environmentalists, and politicians of both parties – including President Obama and Hillary Clinton– understand the important role that fracking and the oil and gas industry have played in the United States’ climate leadership. If he really cared about climate, Ruffalo and his friends would celebrate, and not oppose, the great strides that the United States has made in slashing GHG emissions. But it’s not about climate: it’s about shutting down the oil and gas industry. Herb J. Wesson is the Los Angeles City Council President and Ruffalo is asking him to consider a 1,500 foot “setback” between oil wells and various structures in an effort to (as activists said when using the same strategy in Colorado and Texas) “ban fracking everywhere,” which is what would happen with a setback this large in an urban area. 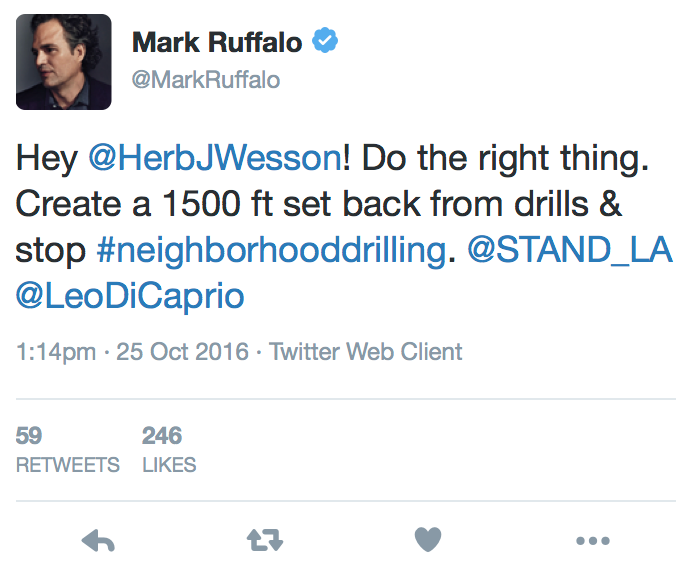 That’s right: Ruffalo wants to completely halt production in the largest urban oil field in the United States, which sits in the second-highest oil-producing county in the third largest oil-producing state. Perhaps the fact that he his tweet received under 300 “likes” from the actor’s 2.7 million followers suggests that the extremism of the actor’s proposals are wearing thin even for his fans. 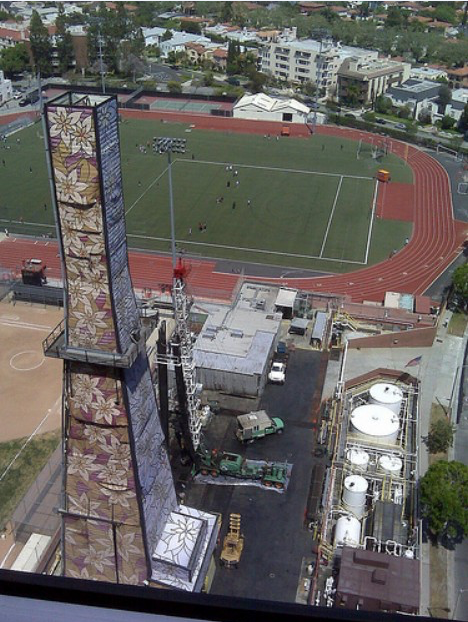 In any event, the oil industry, not Hollywood, built Los Angeles, so he is unlikely to have success. And his failure means California’s economy and environment will be better off.